Pastor Glenn Yamaguchi had a simple vision, plant a church that would help people to reach their full potential in Christ and then be a voice of hope in the world. 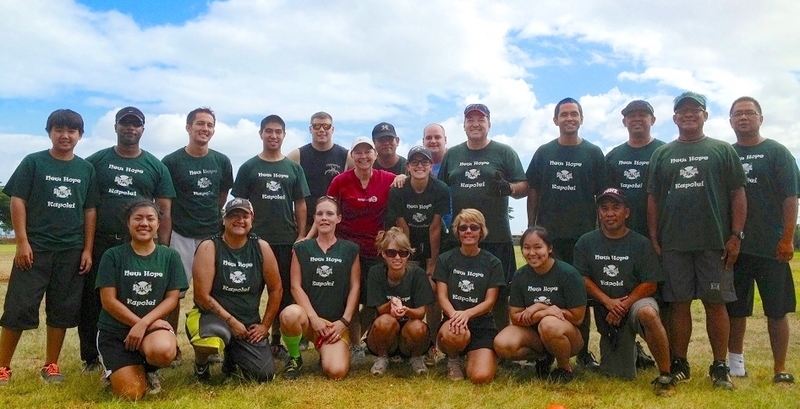 In 1996, he joined the staff of New Hope O'ahu. Having worked with many different church ministries, including set up and break down, small groups, and teaching at midweek services, Pastor Glenn was ready to plant his own church. In 1999, along with 12 other Dream Teamers, they got together at a house in Ewa Beach to dream and plan about the new church. Since then there have been multiple locations and a church plant, but the dream remains the same. 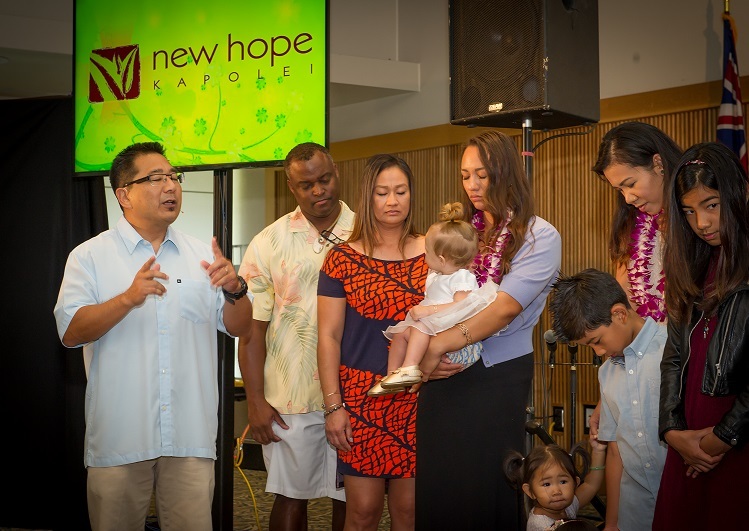 New Hope Kapolei's vision is to develop a faith community in Kapolei that would usher people in to become followers of Christ and a voice of hope to the world. We focus on relevant teaching, heartfelt worship, sincere relationships, authentic prayer, and compassionate care for others. Whether you’ve never been to church or are looking for a place to call home, you are welcome here. We invite you to join us at one of our weekend Gatherings. 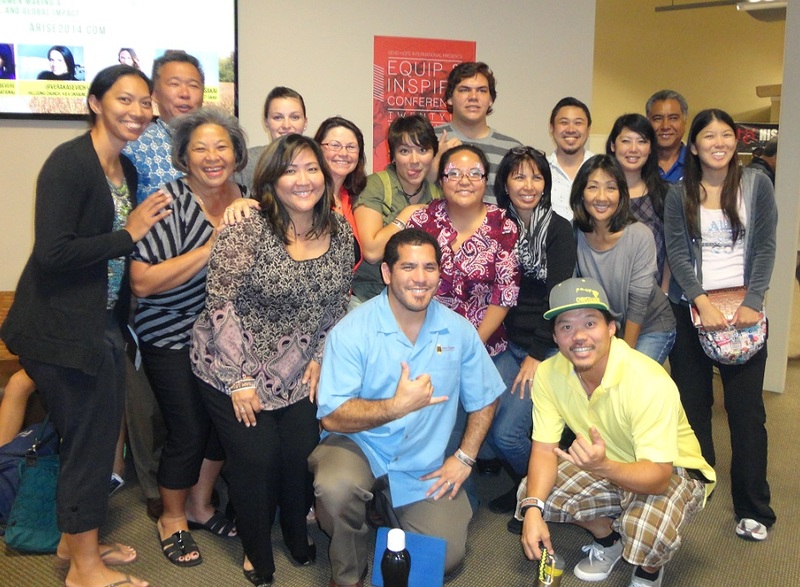 We are family at New Hope Kapolei. Families come in all shapes and sizes, but if a family is healthy there is a warm sense of belonging, support, and unity. God loves family, and made family, he has only one family, called the people of God, though there are many congregations. 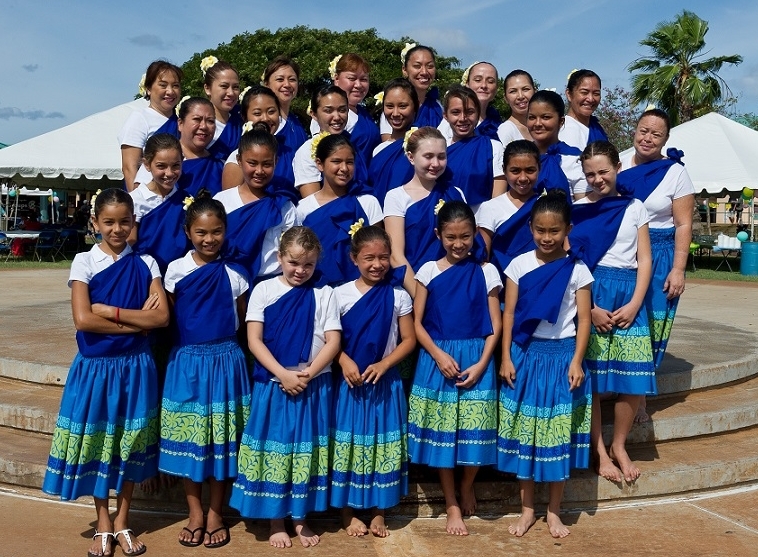 As one of those congregations on O’ahu, New Hope Kapolei embraces people in all stages of their spiritual journey. No matter where you are at you’re welcome to journey with us. 1) Know God. God’s love can fill our souls and changes us. Knowing Him helps us managing relationships and life better. 2) Find Freedom. We all have things in our lives where if they weren’t there, life would be better. This kind of freedom happens best in relationships of grace, truth, and love. 3) Discover purpose. We all crave to know that our lives have purpose and meaning, we’re committed to helping you find yours. 4) Make a difference. Your life matters and we want to partner with you so you can do what you were created to do with your life. The Holy Scriptures: We believe that the Bible is God inspired (2 Timothy 3:16, 17). The Eternal Godhead: We believe that God is Triune: Father, Son and Holy Spirit (2 Corinthians 13:14). The Fall of Man: We believe that man is created in the image of God but that by voluntary disobedience fell from perfection, thereby imputing sinfulness to all human beings (Romans 5:12). The Plan of Salvation: We believe that, while we were yet sinners, Christ died for us, signing the pardon for all who believe in Him (John 3:16; Romans 5:8). Salvation through Grace: We believe that we receive salvation when we come to God through faith in the atoning work of Jesus on the cross; salvation is God’s gift to us (Ephesians 2:8). Repentance and Acceptance: We believe that, upon sincere repentance and a whole-hearted acceptance of Christ, we are justified before God (Romans 10:8-10; 1 John 1:9). The New Birth: We believe that a very real change takes place in people who accept Christ as Savior; believers allow Christ’s life to be lived through them (2 Corinthians 5:17; Galatians 2:20). Daily Christian Life: We believe that it is the will of God for believers to walk in progressive sanctification, growing continuously in the faith (Hebrews 6:1). Prior to starting New Hope Kapolei, Pastor Glenn began his faith journey in the summer before his senior year at the University of Hawaii. After graduation he has been a missionary with Campus Crusade for Christ to college students, taken part in church planting teams, graduated with a Master’s of Divinty degree from Talbot School of Theology, and served on staff with several churches before being sent out from New Hope Oahu to plant the church in Kapolei. “I have enjoyed every season of life and ministry since saying ‘yes’ to Jesus,” but he believes the best season is always the one God has you in. Pastor Glenn is also married to his lovely wife Rika. The pride and joy of his life are his two sons Jacob and Mark, and his daughter Sarah. When he has free time, he not only enjoys time with friends and family, but fishing, finding good coffee, and watching combat sport, not necessarily in that order.